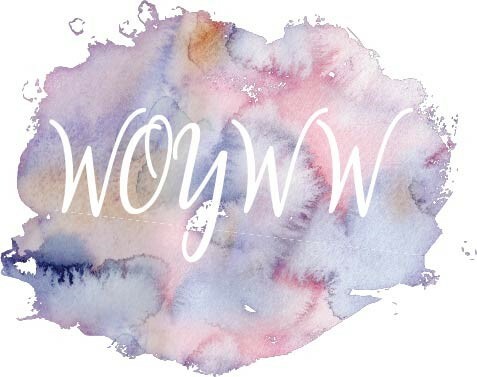 The weekly link up of desks (WOYWW) hosted by Julia on The Stamping Ground, celebrated its ninth anniversary this week. Little did Julia know when she first started up this blog hop, that it would still be going strong 9 years later. I have been taking part for nearly three years and it is such a friendly, supportive group to be part of. This is the first year that I properly participated in the anniversary, ATC swap. I created nine ATCs for swapping, commemorating the anniversary, then made a tenth to send to my Pay It Forward partner on the day itself. I wanted each of the ATCs (2.5" x 3.5") to be part of a theme, but all different. They were all created using the same techniques and stamps, but in different colour combinations to make each unique. I started by using a variety of Distress Oxides to create the backgrounds (see HERE for details). Next I used four of the stamps from the Journaling set by Claritystamp and an array of different coloured Archival inks to stamp over the Oxides. As you will see, by changing the layout and colour of inks, each ATC remained part of the set, but unique. For the final step, I chose to use WOYWW 9 and a fairy stamp to create a heat embossed overlay for each ATC. Once the layout was set, all the stamps were added to one acrylic block and stamped at the same time in Versamark ink. I used different colours of embossing powder to vary the finished look: Detail Silver, Detail White, Detail Black, Detail Ancient Copper and Gold. All the stamps used are by Claritystamp. The WOY along the top are upper case letters from the Word Chain Alphabet, the next W is the lower case from the same stamp set. The final W comes from the Woodpress stamp set and the 9 is from the Numbers set. The fairy is from the Wee Fairies stamp set. I am delighted with the way that they turned out and I hope that my swap partners will feel the same way.